A convicted robber who did not return to prison following a day release last week has handed himself in. Sussex Police had been looking for Wayne Lawton, 40, who did not return to HMP Ford on Wednesday, August 24. He was jailed in October 2014 having been convicted of robbery in Guildford. Lawton handed himself in at Sutton police station on Friday (September 2). 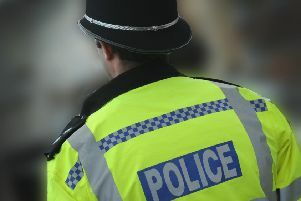 A number of teams across Sussex, Surrey and Metropolitan Police were involved in the response to apprehend Lawton, who had been unlawfully at large for over a week. Anyone with any information about absconders can contact Sussex Police on 101@sussex.pnn.police.uk or call 101 quoting Sussex reference Operation Parcel. Members of the public can also contact the independent charity Crimestoppers anonymously on 0800 555 111.